This post has a free printable for The Carnival of the Animals, a 33 page printable. Click on these words or the photo below to download your copy. 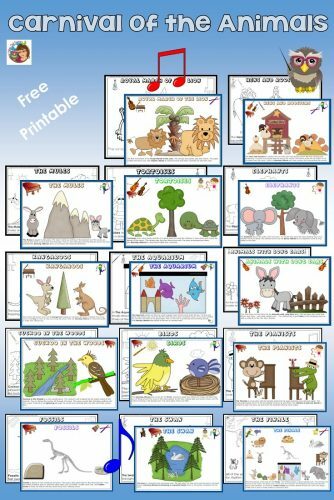 Wise Owl Factory and Strings, Keys, and Melodies have teamed up again to bring you printables to supplement music appreciation for young learners using the CARNIVAL OF THE ANIMALS. 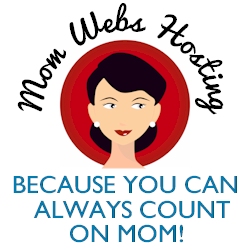 We really appreciate Teacher’s Clip Art for providing some custom artwork to make this possible and are excited to share this today. See the Spanish version, below, too. 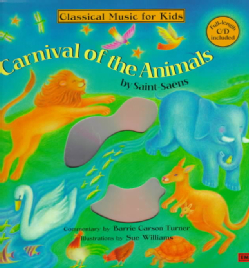 The Carnival of the Animals (1886) is a humorous musical suite of fourteen movements by the French Romantic composer Camille Saint-Saëns and is about 25 minutes long. The first performance of this work was in 1922. We have included poster/signs for all 14 pieces and a coloring page for each one for the children. 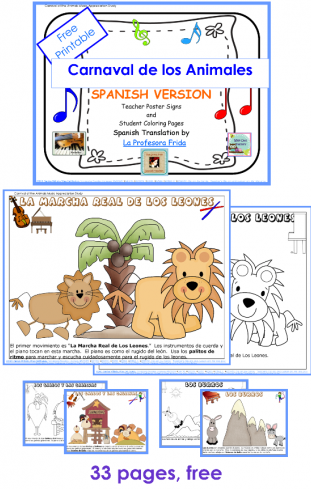 Here is the same printable in Spanish! 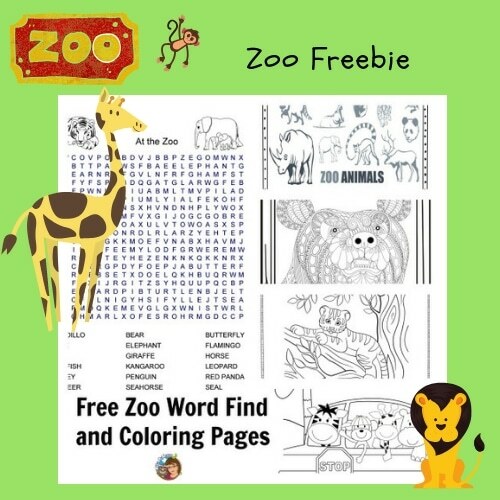 You might also like the free zoo animal coloring pages and word search at this blog post link.